make that we do not need any sugar consistencies. In another method first we make one thread consistency and then we add the cashew paste which is quite tricky and it may form lumps. 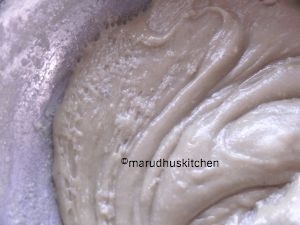 So, this is the easiest way to make this mundri cake.The correct method and consistencies are two major points to be noted during the making of this burfi. 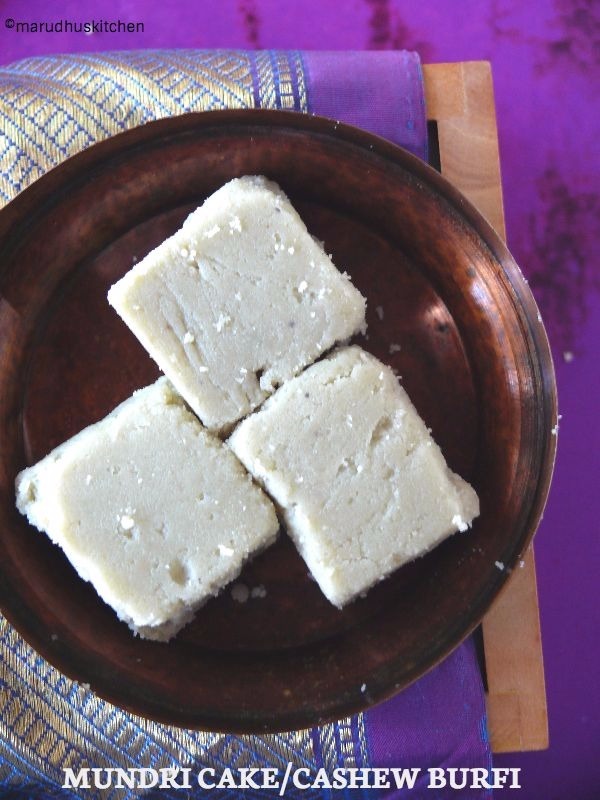 Now lets see how to make cashew burfi at home. 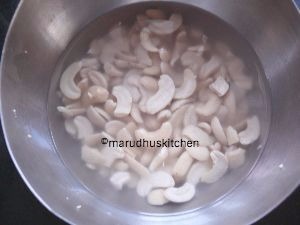 1.Wash and soak cashews in water for 4-5 hours,then drain it add milk little at a time and grind to a fine paste and keep. 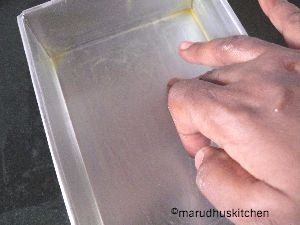 2.Grease ghee to a suitable tray or plate and keep ready. 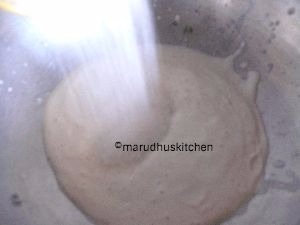 3.Keep a kadai add these cashew paste and sugar altogether and mix and heat up. 4.The sugar will dissolve and let it boil. 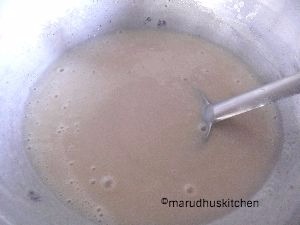 5.It will start to thicken keep stirring and you can adjust the flame and do it carefully. 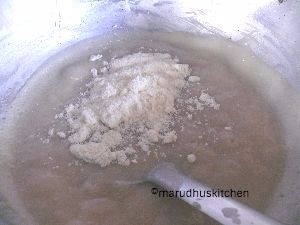 6.Now add milk powder and there may be lumps initially and it will go off with stirring. 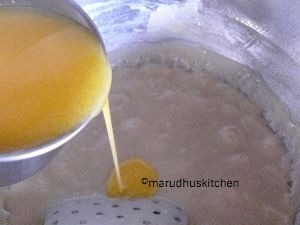 7.Now start to add ghee little at a time and stir. 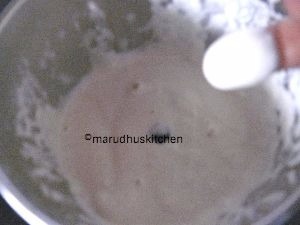 8.At one stage it will start to leave the sides,add cardamom powder and stir. 9.Test for doneness by taking a little bit and can roll and will be able to form a ball. 10.This the correct stage,you can transfer to the greased tray and when cool cut into shapes and enjoy.